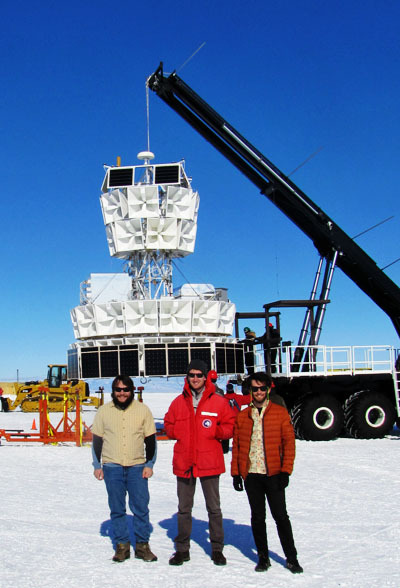 The ANITA experiment is a NASA long duration balloon experiment that searches for radio signals generated by Ultra-High Energy (UHE) neutrinos and cosmic rays. Neutrinos travel virtually unimpeded through the universe, making them unique messenger particles for cosmic sources and carrying information about very distant sources that would otherwise be unavailable. When astrophysical neutrinos interact in the Antarctic ice, the induced particle cascade gives off strong radio Cherenkov emission, and ANITA is designed to have sensitivity to neutrinos at ~10^19 eV. When UHE cosmic rays interact in the atmosphere, the resulting particle shower emits synchrotron radiation as particles from the shower are bent in the Earth's magnetic field; ANITA is then sensitive to the radio synchrotron emission. ANITA-I and ANITA-II have placed the world's best constraints on the flux of UHE neutrinos, and saw 21 cosmic ray events -- the first UHE cosmic rays ever observed with the radio detection technique. ANITA-III will fly in 2014-2015 and will improve sensitivity dramatically, increasing the cosmic ray sensitivity by a factor of 10 and the neutrino sensitivity by a factor of ~5.